A deaf support group with an uncertain future after council cuts has held a protest outside the authority’s offices.Enfield Disability Action’s (EDA) deaf project has had its £43,000 funding from Enfield Council stopped – half its budget – leaving it running on reserves as they try to find a backer, and survive after 20 years helping deaf people live day to day in the borough.Over 60 people took part in the march from Chase Gardens war memorial to the Civic Centre, via Enfield town centre, where a petition signed by 1,000 people since April was handed to a council officer. 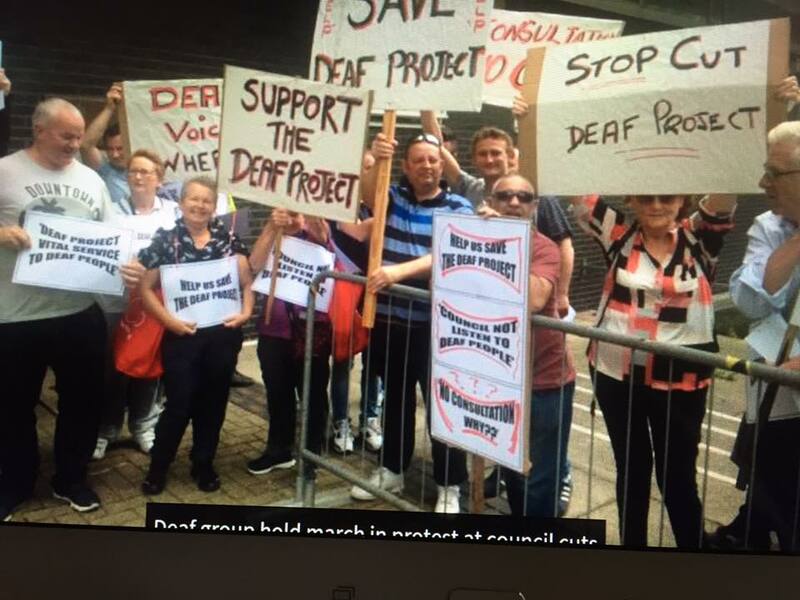 The group want the council to reconsider the cuts, and work more closely with deaf people on future service provision.Mary White, manager of the deaf project, said they are still waiting for a remote interpreting service – interpreters on personal computer screens at the Civic Centre and major libraries – to be set up, despite the council promising it would be running by January 1.She said: “Deaf people know they can come to us and straight away we can help them, that is the service they want to keep. With all the benefit changes coming, they will need that service even more.“We see new clients every day, and people who have used us for years. We are trying to carry on but there is not a never-ending supply of money. Once the reserves go, we don’t know.“The protest today is only a small number, a lot of people are on holiday, but we just wanted to show ourselves. 1,000 names is not bad. 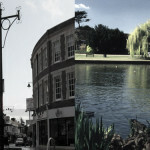 “People trust us, we are a safe place they can come for advice. The problem is the deaf community don’t have a voice. Rajeswari Gopalakrishnan, who is deaf blind, has used the EDA since 1998, and the service also helped support her 19-year-old daughter Chandrika, who has cared for her mother since she was 13. Chandrika, who lives with her mother in Palmers Green, said she could not have coped with the last six years without the group’s support. She said: “Trying to juggle school and work with mum’s disability was always very challenging, the support they have given me, you cannot put a price on that. Children should not be left to deal with this alone, but that is what will happen. “I am disgusted with how the council have handled this. We have sent emails to Cllr Alev Cazimoglu, the member for health, and had no response. It’s like they do not care, it is really very hurtful. The group want the council to reconsider the cuts, and work more closely with deaf people on future service provision.Mary White, manager of the deaf project, said they are still waiting for a remote interpreting service – interpreters on personal computer screens at the Civic Centre and major libraries – to be set up, despite the council promising it would be running by January 1.She said: “Deaf people know they can come to us and straight away we can help them, that is the service they want to keep. With all the benefit changes coming, they will need that service even more.“We see new clients every day, and people who have used us for years. We are trying to carry on but there is not a never-ending supply of money. Once the reserves go, we don’t know. “The protest today is only a small number, a lot of people are on holiday, but we just wanted to show ourselves. 1,000 names is not bad.